Sam Beste is in The Vernon Spring – a happening which provides him with a means to explore sound and song through layered pianos, stripped-back beats and studio experimentation. This solo adventure comes after many years of producing records with his band Hejira, soulstress Tawiah, string duo Fran & Flora and others, many of which are part of the Lima Limo collective he co-founded. Sam has also been in demand as a pianist for other artists including Amy Winehouse, Matthew Herbert, and most recently Leon Vynehall. This year he will be doing a series of shows at SJQ for The Vernon Spring, working the curatorial muscles he developed whilst running the club night TRAUM together with his Hejira bandmates. 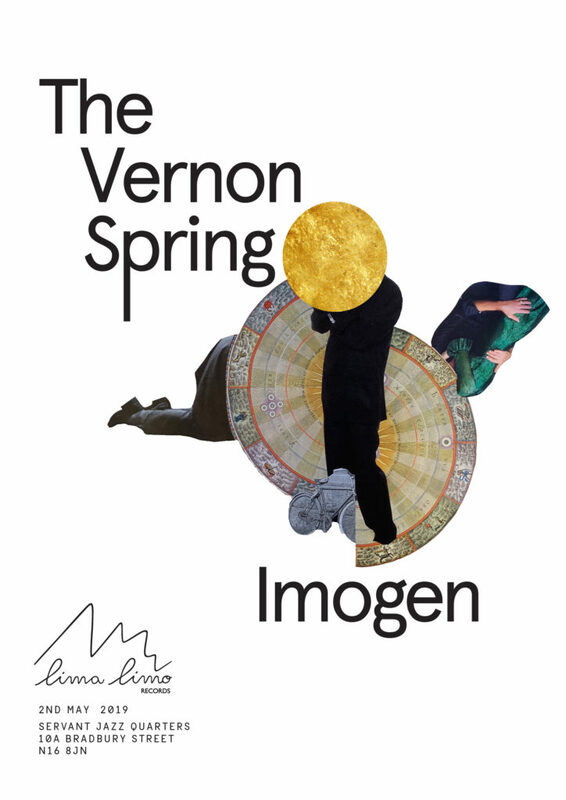 The evening’s proceedings will begin with a solo performance from the remarkable singer-songwriter IMOGEN whose delicate, yet expansive music and stunning voice have been receiving increasing attention over the past year.